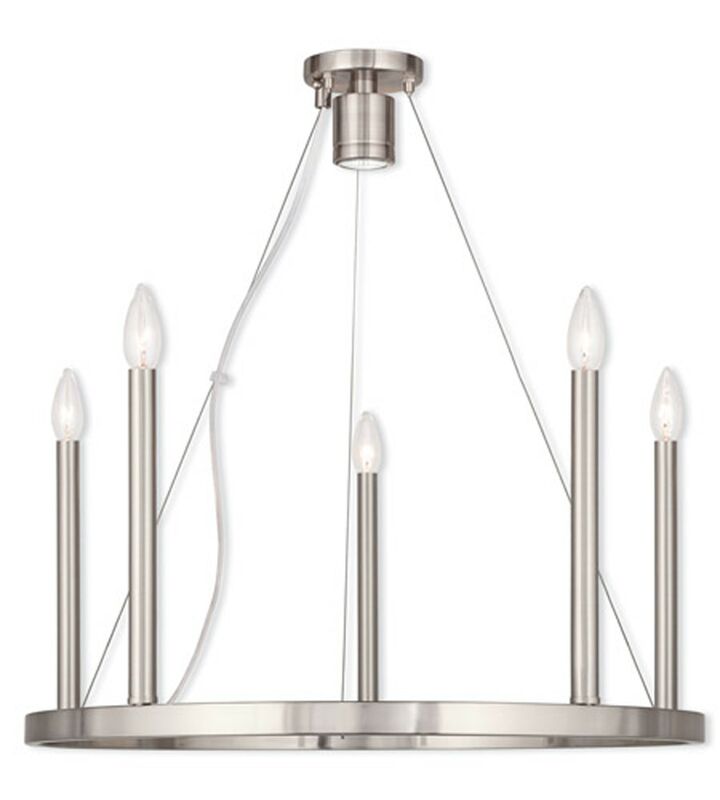 Make a fashionable statement with this 6-light chandelier from the Alpine Collection. It will impart a splendid style to your space with its traditional frame and delightful brushed nickel finish. A perfect match with most interior styles, this chandelier brings a unique look to any space and a comfortable atmosphere with its incandescent shine.